Cats were highly venerated in Egypt thousands of years ago. In fact, when they were trapped in a burning building, Egyptians would rescue them before fighting the fire. This particular mummified cat lived in Egypt over 2000 years ago. Mummified in bitumen resin, this cat lived a life of luxury in the royal temple of Bubastis, the city devoted to Bast, the cat goddess of pleasure, dancing and music. Worshippers invoked Bast to protect them from contagious diseases. Anyone killing a cat, even accidentally, was instantly put to death. Photographs taken were in a room with protective lighting and casing. How interesting! I did learn before that when the royal families died, all their living counter-parts were buried with them. 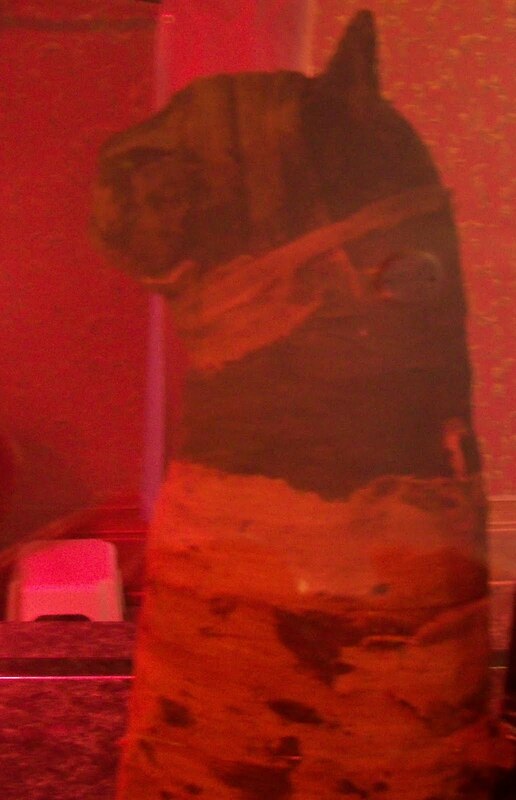 In this case, mummified! The mystery behind feline personalities and their intelligence has always been of interest to me. 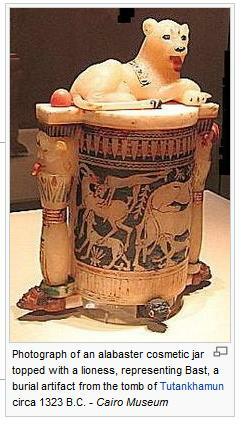 I've always had cats and the Egyptians really held cats in very high regard for specific reasons. Never knew that one could be put to death for harm or death, though. Unique article, Lauren. Hi there, Brilliant interesting post. Where was the display? The love and devotion for cats it seems is timeless.My own darling cat, Sea-Breeze, pasted away over two years ago and I just haven't the heart to ever replace her. This picture was taken in St. Augustine at the Ripleys. I'm amazed at the diversity of artifacts brought back by Ripley himself.